As iconic and exotic as Egypt, every child in America learns a little about Chinese history; it was one of those places that I just could not wait to get to. 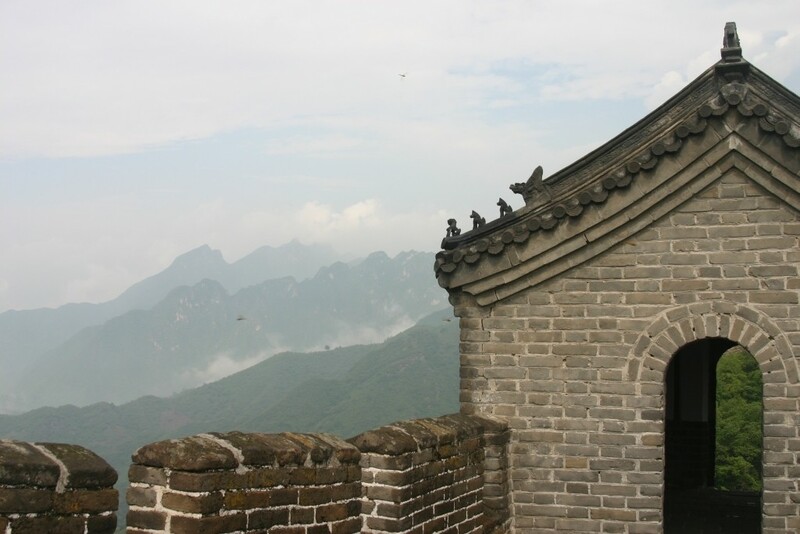 The Great Wall, the Forbidden City, and the world heritage Xian Clay Army are probably the top three sights to see, and we were going to do just that on our first trip to China. 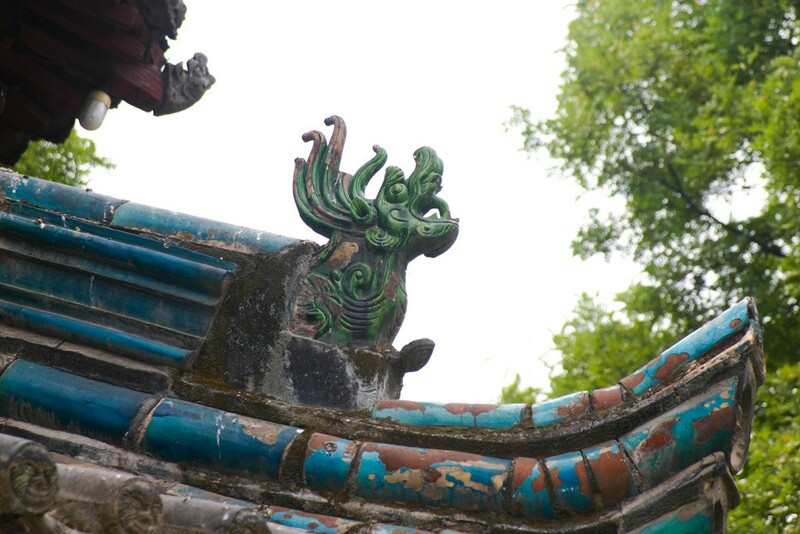 We wanted to make sure we did, and saw, as much as we possibly could, so we definitely enjoyed planning this Xian itinerary. Have you been to China? 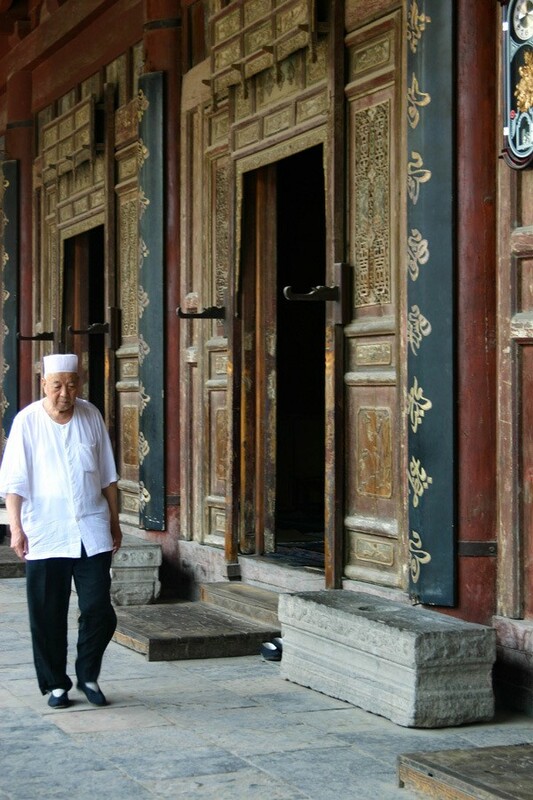 Do you have anything to add to our Xian Itinerary? 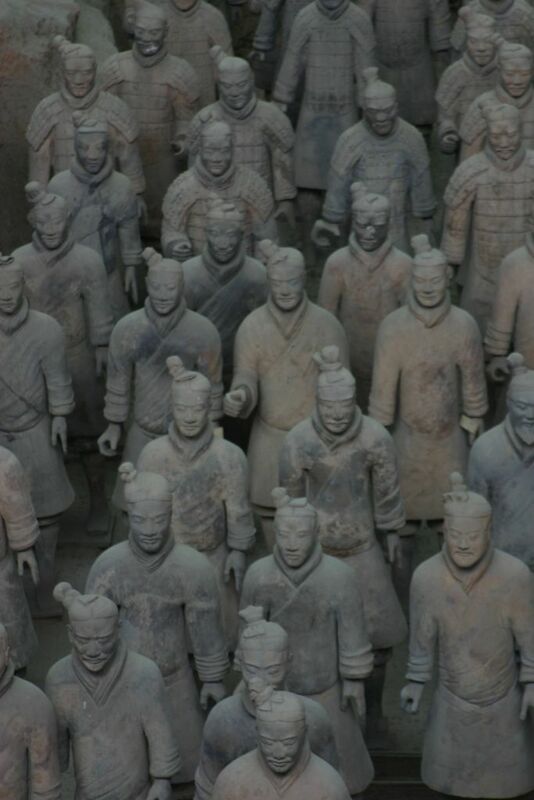 Have you seen the clay soldiers of Xian? We headed to Xian after four days in Beijing with its throngs of people, bikes, polluted skies, hutongs, and sight after sight that can be extremely overwhelming to the first-timer. We were more than ready to go somewhere a little less chaotic, a little less crowded. Our trip didn’t start out on the right foot, however. We took an internal Air China flight to Xian, but for some reason I’ll never know, our flight was cancelled. There were plenty of announcements in Chinese, none in English. We didn’t have a clue as to what was going on or what we should do. We waited until there was an opportunity to ask someone, but of course they didn’t speak English either. He did, however, go grab someone to help us. We were told that we were reschedule on a flight to Shanghai where we would receive transportation to our hotel they booked for us for no added cost. The flight was much later than our original flight, so by the time it landed in Shanghai it was close to midnight. We had no idea how to get to our “transportation,” which in my mind was a taxi or dedicated bus. It was not. They gave us tickets on a public bus, talked to the driver to drop us off and point us to the hotel and we were off. The hotel was rather shabby, but we were just there to sleep and had to be back at the airport for an 8:00 A.M. flight. 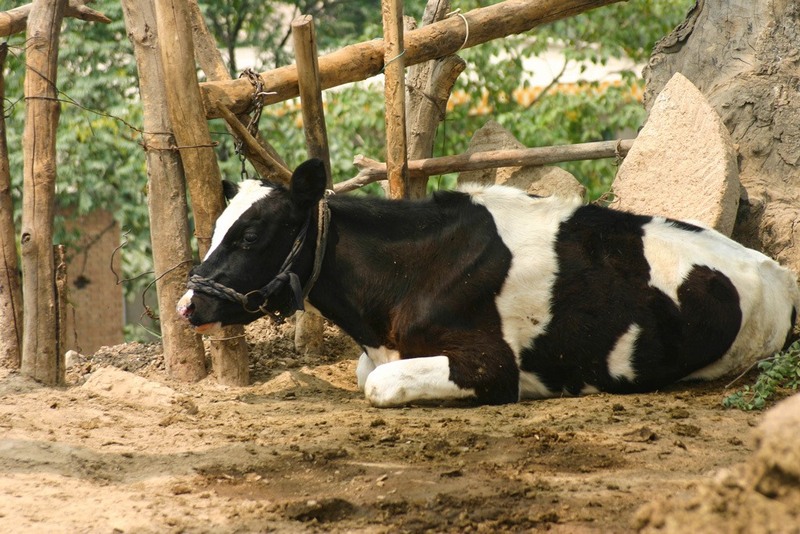 We were so relieved to finally make it to Xian. We were a little travel weary to be sure. Our next task was to take a taxi to our hotel, because we just didn’t have the energy for another bus. However, communicating with the taxi driver was nearly impossible; he had no idea where to go, and he didn’t speak English. We were staying in a very small hotel, not a huge one. If we’d stayed at the Hilton or something, he wouldn’t have had a problem. He just didn’t expect these three American females to be staying in this small, out of the way hotel. To figure out where to take us, he had to drive from big hotel to big hotel asking the hoteliers for help. At this point, too be honest, we were thinking, “What the hell have we got ourselves into?” It was hot, dusty, and we were the most culture-shocked I’d been in years. We happily said goodbye to our frazzled taxi driver who really had worked hard for us, and checked into our room with no further issues. We were all a bit sweaty and crabby, but the desk clerk came to our room, offered us a drink, and talked us into signing up for a dinner show that very evening, so from that point on Xian just got better and better and better. The next few days were filled with the following activities, which I think include all the great things to see and do in this fascinating city. For three days we toured, but by the fourth day, we were once again tired, and felt we’d seen all we’d really wanted to, so we decided to once again pamper ourselves and headed to a salon to get a pedicure and have our nails done. This turned out to be the most memorable thing we could have done. Our hotel was about a five minute walk to the mall. We headed there for the sole intent of getting our nails done and when we found a salon, there were women sitting in the waiting chairs. One of the waiting customers immediately came up to me, and in English, introduced herself. She was a college English professor, and she, with a couple of the other ladies, were all there with their high school daughters, just like me. She quickly took on the role of interpreter and boy did we have fun. The Chinese moms peppered me with questions such as, “Where is your husband? Does he allow you to travel alone? Aren’t you afraid?” These are pretty normal questions when I traveled with the girls and Jim wasn’t with us, but it got more interesting when they would touch Devon and Erika’s hair or skin, and murmur, “Two daughters. Two daughters. You are so lucky!” This prompted a somewhat stilted conversation about the Chinese one-child law. This whole interaction was a lot of fun, but the most comical time came when we were all still there a couple of hours later, and the day continued to get hot, hot, hot. One woman made an announcement, everyone responded except us of course, and off she went. She returned a few minutes later with popsicles for everyone, and I mean everyone–us, the salon workers, and all of the customers. The three of us were thrilled to bite into these maroon-colored, icy snacks…that is until we hit the creamy red bean center. It was a little shocking, but really it didn’t stop us. They were so refreshing. The ladies started to plan an impromptu picnic for the next day, but were disappointed to learn that this was our last in Xian. We were disappointed as well; it would have been another great day with them I’m sure. That was the end of our time in dusty, but lovely Xian, and after multiple trips to China it’s still my favorite city in the entire country. 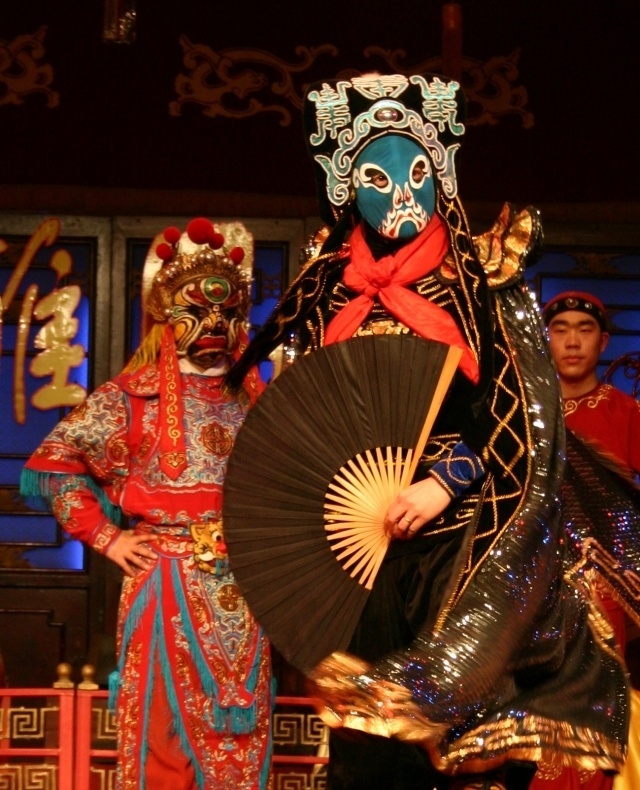 The first thing we did, as I mentioned above, was attend the Tang Dynasty Dinner and Show. There were plenty of people there, and we were sat next to an American college professor teaching in Xian for a semester and his wife. While we ate, they regaled us with stories of their adventures and told us we had to go get a foot massage in the city. They said it was a must. We of course had to add it to our list. The dinner was tasty, and we tried many, many dishes. However the show was pretty fantastic. I always love going to shows. I know they are “touristy” and like this one, can get a little pricey, but it’s a way to listen to traditional music, see some dancing, and some gorgeous costumes, and I thought this one was well done. 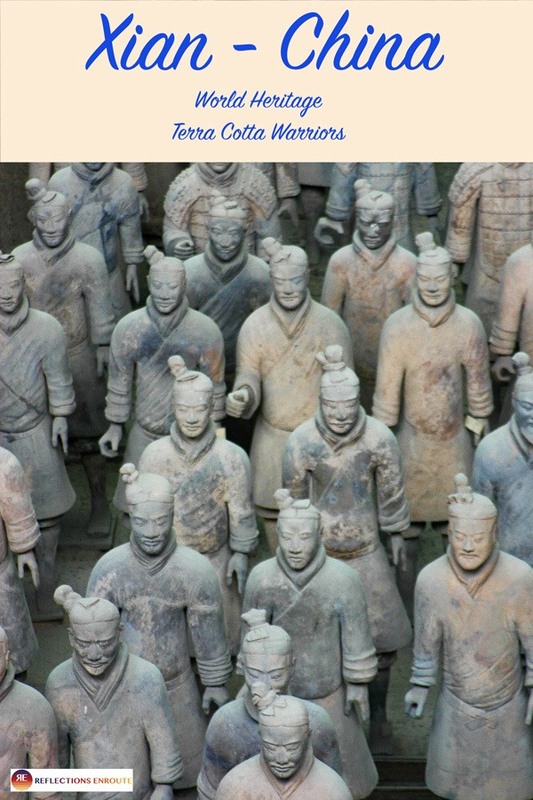 We booked a driver to take us to the Mausoleum of the Qin dynasty and the Terracotta Warriors. 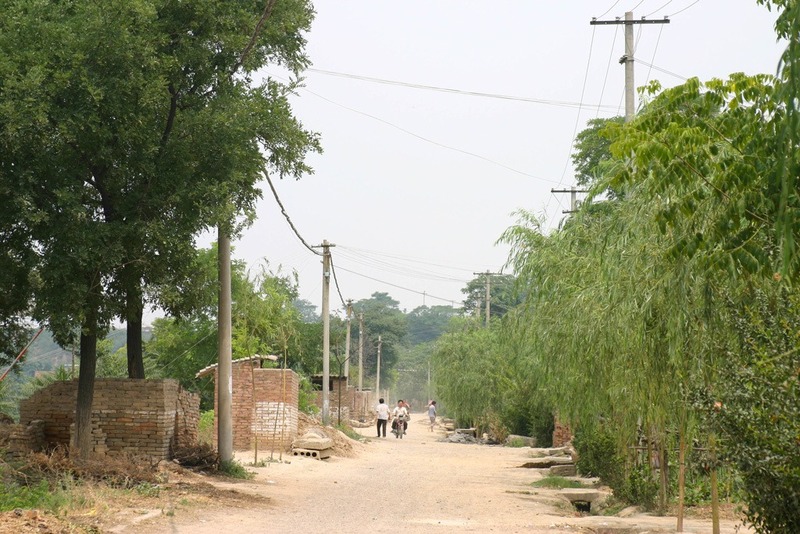 We didn’t realize that it was quite a ways from the city of Xian, but we love getting out into the countryside, so we were happy about that. The drive is only about 45 minutes, so we arrived at the museum in no time. I’ve read that the museum can get quite crowded, and we did arrive right after opening. We pretty much had the whole museum, and the domes of soldiers, to ourselves. We wandered. We photographed, and we enjoyed it, but felt a couple of hours was plenty. 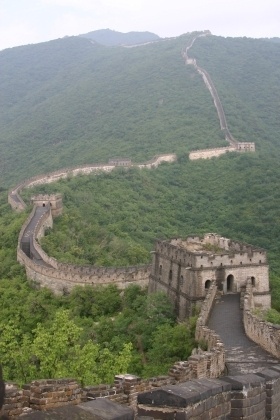 After we returned to Xian, we went down to the fortress walls, climbed on top, and rented bikes. The girls wanted a tandem bike and we had fun biking the length for a couple of hours. Standing in all their glory, and well-lighted at night, the drum and bell towers give us a glimpse into what we expected as Chinese architecture. They are tall, elaborately painted and fantastic stops. We visited the largest drum in China, and had a walk around the square as the sun set. As it turns out, we were there again during daytime as well, since it’s so close to the Muslim Quarter. 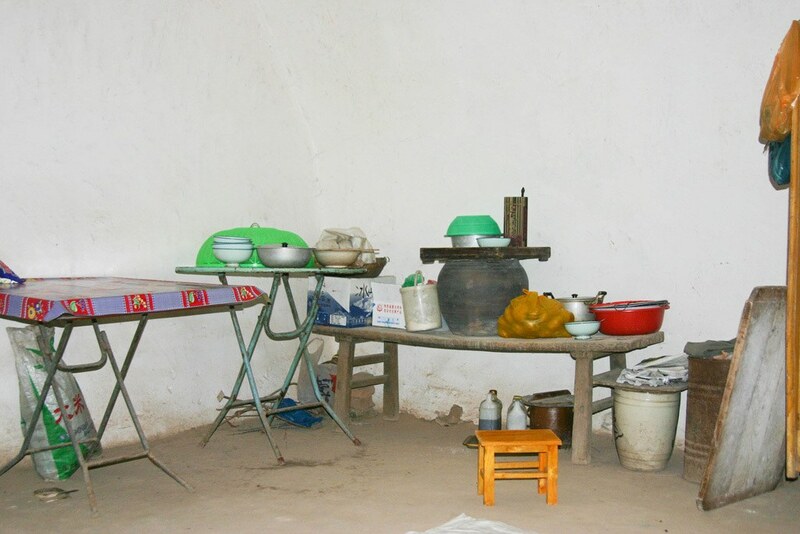 Being as iconic as it is, many private guides and tours will meet you at the drum tower, and at times you can hear local music there as well. The third day, we had a bunch of wandering to do. We were dropped off in a part of the city where the pagoda and some other temples and gardens and plazas will keep you busy. 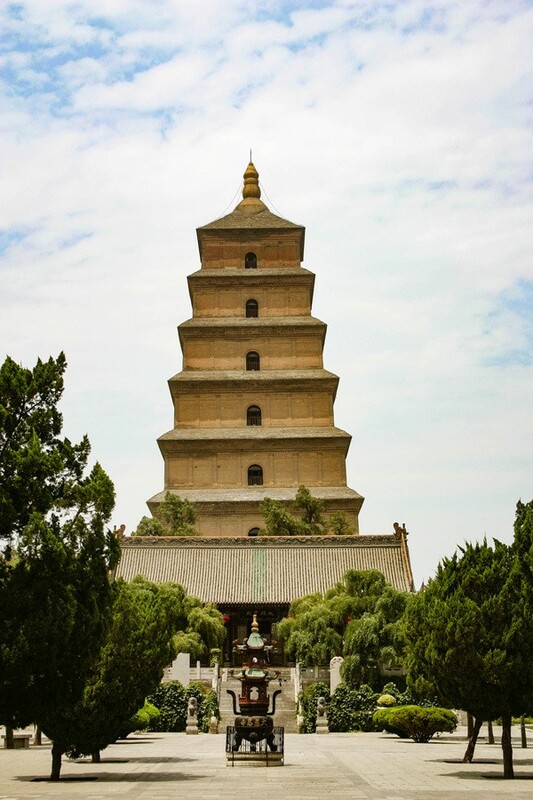 We visited the Wild Goose Pagoda, and the three of us really enjoyed it and the surrounding temples. Even buying the tickets was fun. After living in Japan, I was able to decipher the cost and gave the clerk the correct amount, even though she didn’t ring it up first. She was shocked and I’m pretty sure she told everyone around that this foreigner who couldn’t speak any of their language, still knew how much it would cost from reading the sign. You see the Japanese use Chinese symbols as well. 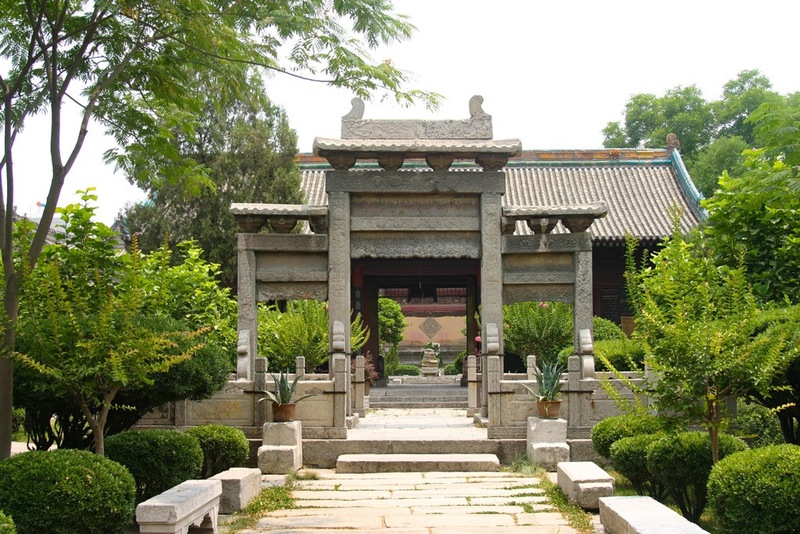 The Shaanxi History Museum is full of ancient Chinese artifacts, many made of clay and jade. They did have English placards, but only for ones that the translator knew the word. The English usually only contained one word or maybe a phrase, for example “spoon” or “drinking vessel.” The girls and I really enjoyed the exhibits, and honestly got a chuckle out of the placards. The Muslim quarter, where over 20,000 Muslims live, to me was the best part of the city. I loved it’s old town feel, with windy, colorful streets with vendors on the sidewalk enticing you to try their dumplings or mutton stew. We tried so much that we didn’t go to dinner that night. We were full. We also loved exploring the quiet area of the Great Mosque. A bit dilapidated and in need of a good painting, the mosque was still beautiful as well as peaceful. 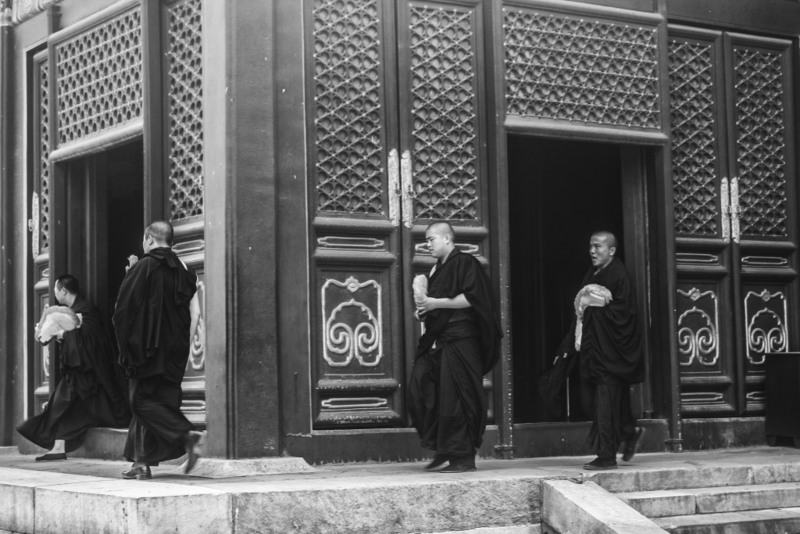 Xian was the second city we visited while in China for almost a month – and it was one of our favorites. 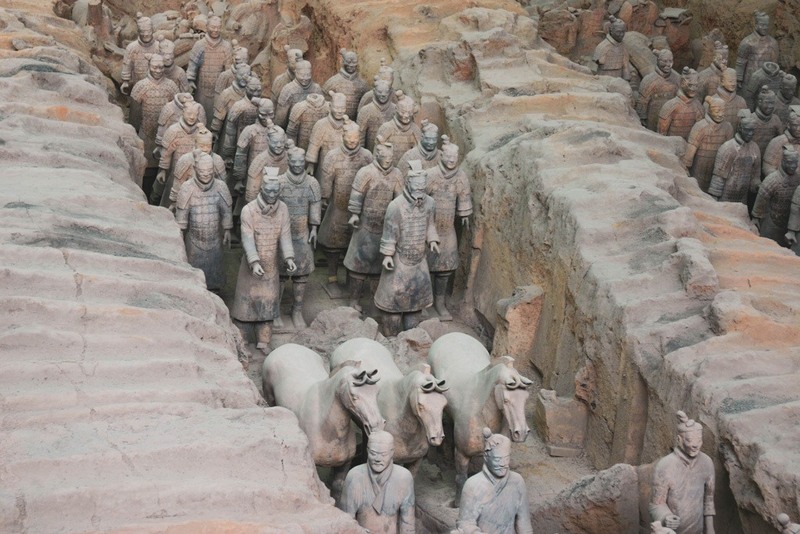 The Terracotta Army brings most people to the city, and this was our starting point, the subterranean life size army of thousands that have silently stood guard over China’s first emperor for more than two millennia. Qin Shi Huang obviously expected his rule to continue in death as it had in life, hence such a large and impressive tomb. Unbelievably, all the life-size model soldiers are different, as they are based on real people – no two are the same! 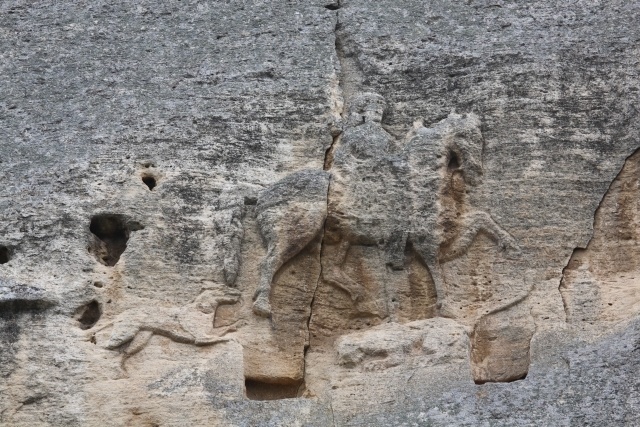 Our boys were fascinated by the life size warriors and horses displayed in the tombs. 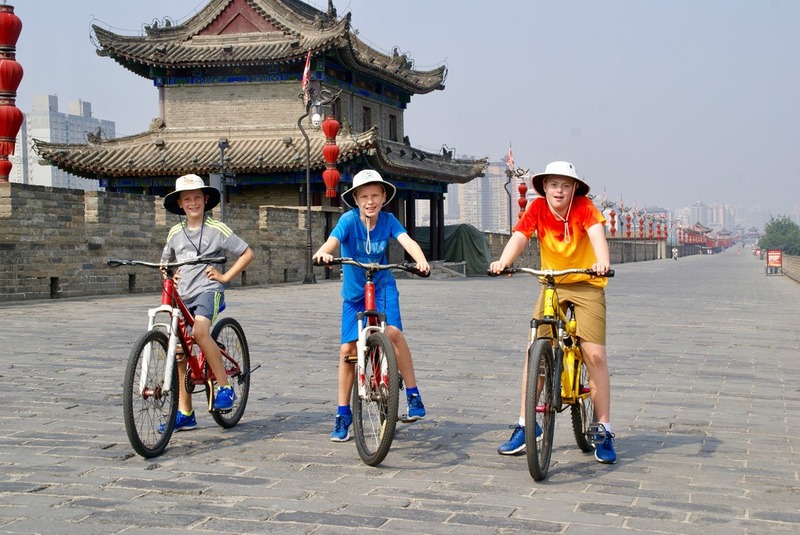 Another highlight of our time in Xian was cycling around the Ancient City Walls. The 14 kilometer circuit, taking about two hours, on top of the city walls is perfect for an active family. We were able to hire bikes suitable for the whole family. 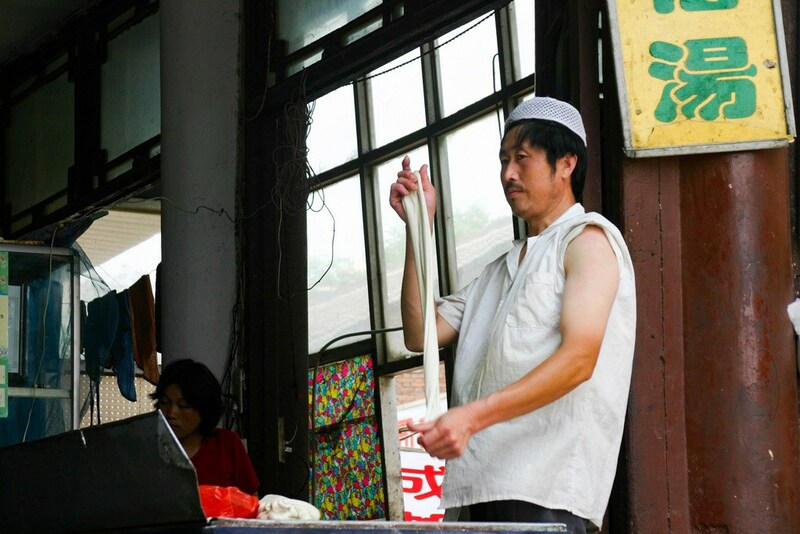 Other fantastic options for kids in Xian include taking a Chinese calligraphy lesson at the TangBo Art Museum, and sampling the food offerings in the Muslim Quarter. 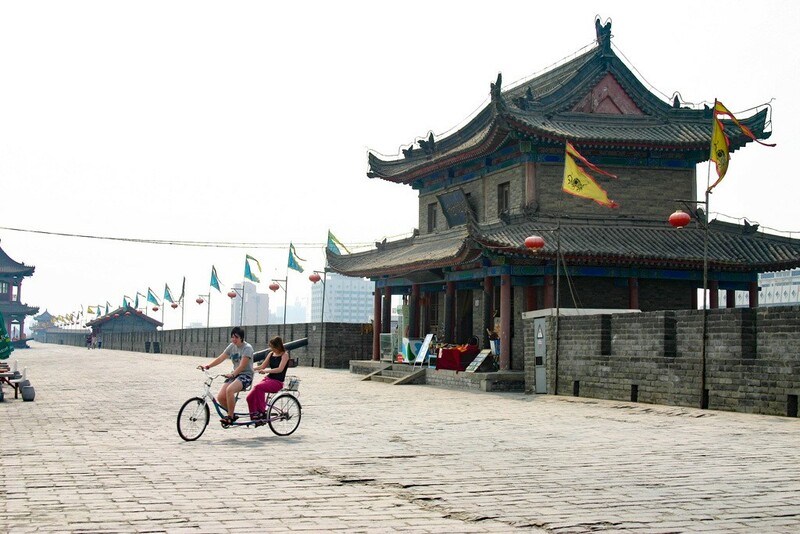 There is plenty to explore in Xian for kids and we’d definitely recommend visiting this city on any family adventure to China. Take a look at Nicky’s Facebook page for more info and tips about traveling with children. 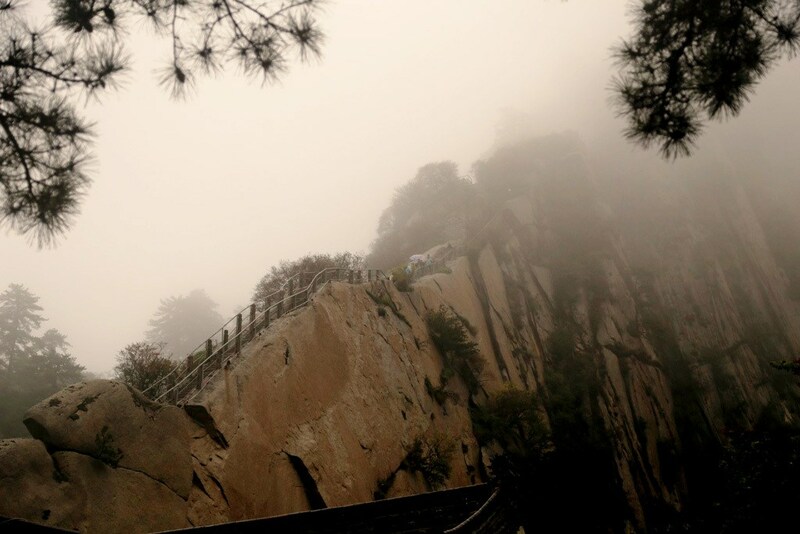 A day trip to Hua Shan mountain from Xian is a must-do with kids of 6-7 years and older. Hua Shan is the western mountain of the five sacred Taoist mountains in China and has 5 peaks. These peaks can all be visited in a day, but this will also depend your fitness. Make sure to arrive at the ticket office no later as 08:30 A.M. and take the west cable car up the mountain. If you want to visit all peaks do it in this order: east, west, south, central, and north from where you can take the cable car down. If you want to make this day trip from Xian less strenuous then just take the shortest route to the north peak. Hua Shan is world famous for its “dangerous” plank walk. You get hooked up in a harness after which you must descend about 50 meters on stone steps first. Then, it’s a 100-meter walk over planks hanging on a 1500-meter-tall cliff. At the end there is a small temple after which you must go back the same way. Make sure to instruct your kids well on how to use the gear. It’s not difficult and very safe if you know what you do. Kids will remember this lifetime experience for sure. 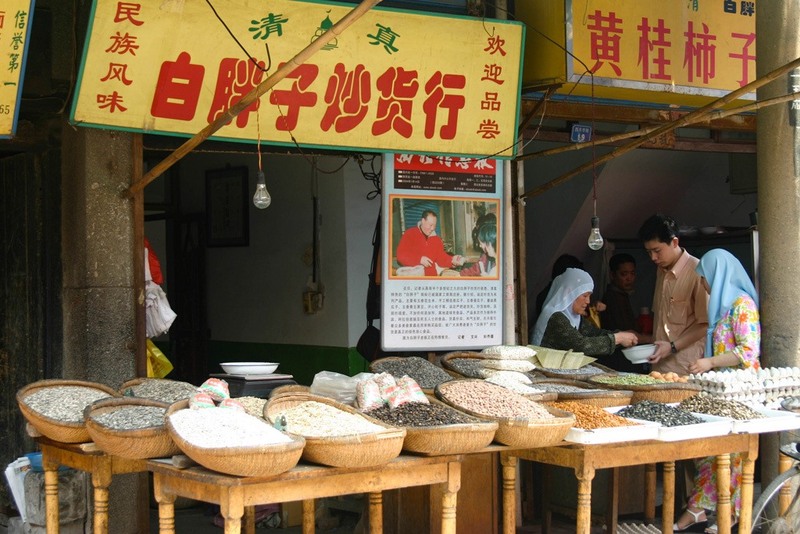 On the mountain there are various temples, stone tablets and of course the usual Chinese sellers. You don’t have to bring snacks up and carry them all the time. It’s a bit more expensive on the mountain but still affordable for western standards. Furthermore, don’t worry about getting lost as signs are bilingual. 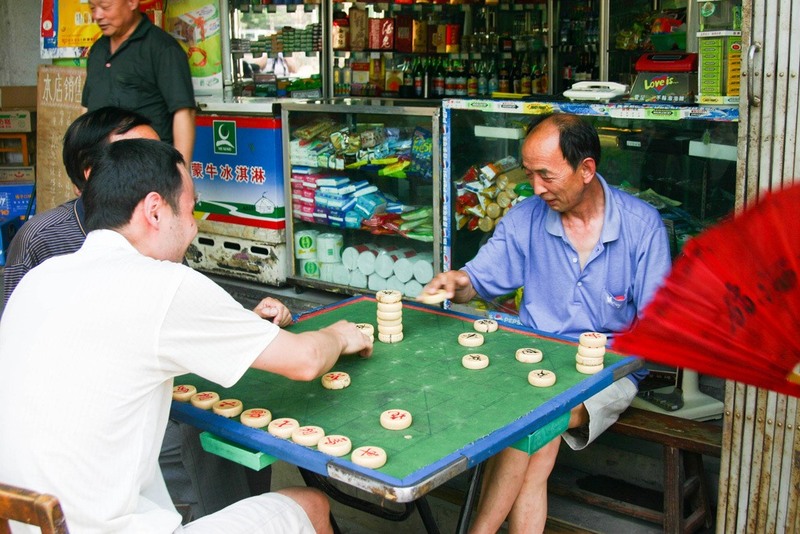 A Xian itinerary isn’t complete without a Hua Shan day trip from Xian. Go check out Chris’ Travel Blog and Facebook page for more amazing stories and photos. China’s public transport is pretty amazing, and there are bullet trains and overnight trains that connect Beijing West Station to Xian North Station. The price is cheaper than flying, but of course you will need a bit more time. You can purchase the ticket up to 30 days ahead of time, but there are multiple trains per day, so unless it’s a Chinese holiday, there probably won’t be an issue getting the day you want. The easiest way to purchase a ticket is to go directly to the train station. I would plan to go the first or second day in Beijing. We flew to Xian, and I’ve already told you all the trouble we had with that. Although it was a good story, it took out a whole day of touring and enjoying the city. I wish I’d taken the train, and we will on our next trip. However, the flights were comfortable, and we were happy with the service. There are so many options getting around Xian, and even though it’s a populated city, the smaller neighborhoods are wonderful for walking. There are three metro lines, multiple bus lines, and the taxis are so much cheaper than in the west, so that’s what we took. Communication is harder than in many countries I’ve traveled to, and taking a taxi can be frustrating. Make sure to get the hotel to write down the places you want to go, so there is less chance of the taxi driver not understanding you. 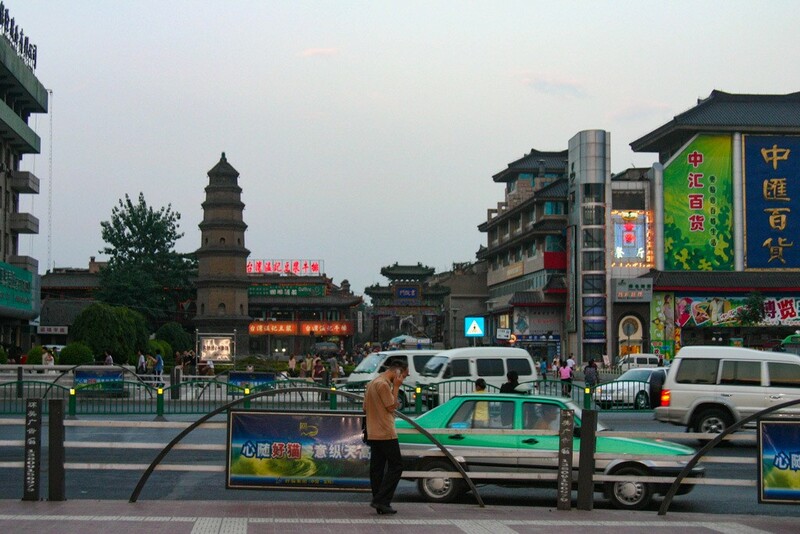 I am planning a return trip to Xian, because it truly is that wonderful, and I plan on staying in the Muslim Quarter. I like the vibe, the street food, and it is still within walking distance of many sights.